Ever noticed the gaping hole that finds itself in one of the pillars of the Convergent Media Center (CMC)? Despite popular belief, it does actually serve a purpose, and an exciting one at that. Faculty, staff, and students are planning on utilizing this space as the holding spot for their new time capsule. Time capsules are meant to help future generations get a better understanding of life during the time the capsule was created. The cornerstone of the CMC stands in the same spot as the cornerstone of Loy, this will be the location of the time capsule. The idea of creating a time capsule at the university has been around since before the building of the CMC. In fact, the idea for the capsule came even before they had discovered the time capsule within Loy Gymnasium, the building that stood where the CMC does today which was torn down in 2015. The box will be made from stainless steel and will be approximately 20-by-16-by-9-inches. The time capsule chest itself is ready to go along with the location that it will be placed. Now, staff and students have to decide what to put into it. “We want [what goes into the time capsule] to be a student idea, we want to take different parts of what are important to Capital right now and put them into the time capsule,” Jack Spiller, Student Government president and senior, said. Either through a forum or suggestion box, the idea is that students are in control of the project. They will come up with items that would be a good representation of Capital today. Some ideas of what could be good additions to the capsule may include class pictures or even a t-shirt. The time capsule can hold items that don’t contain food, liquids, matches, or batteries. Before thinking that a graphing calculator would be an excellent choice for items, there are quite a few things that are not suitable for the overall protection of the items while in the box. These could include any type of liquid, food, and potentially other small trivial items that serve no real significance in representing the Capital experience. The goal is to put one of the artifacts from the previous capsule from Loy Hall back into the newer time capsule as a legacy reminder. Remaining artifacts from the capsule can be found within the university’s archives. “I believe the time capsule represents an opportunity for the student body to have a voice to communicate with future Capital University students, staff, and faculty who are yet to be born,” Senior Assistant Provost Terry Lahm said. The current expected reveal date for the time capsule project is during Spring Symposium. 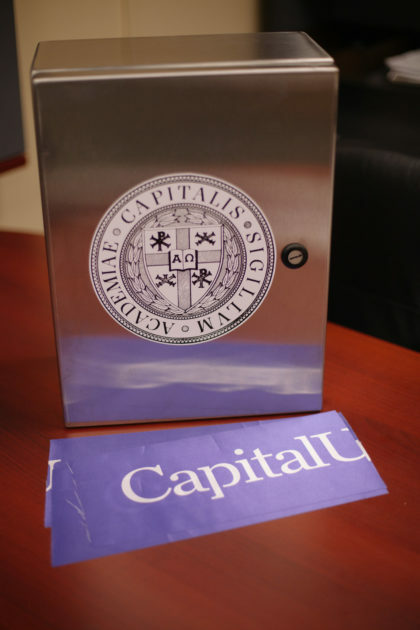 If you have any ideas of what to put into the time capsule, email Jack Spiller at jspiller@capital.edu with the item and why you think it would be an important piece for representing Capital University as it is today. 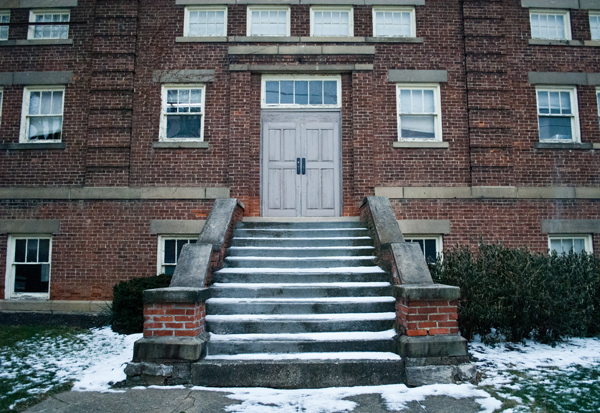 Read more background information about Loy Hall’s time capsule here.